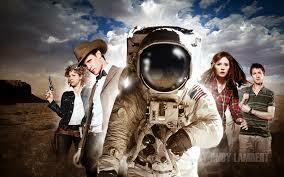 Series 4 is my absolute favourite Doctor Who series. It’s the series which I started watching Doctor Who weekly rather than isolated stories here and there, but upon re-watching most of it nostalgia isn’t the only reason I love this series. It has the best companion of the revived series, the Tenth Doctor at his best, the most imaginative stories and monsters and dark themes. This two parter is the magnum opus of the series to me, and one of the Tenth Doctor’s best. It has a fascinating story with intriguing characters and a terrifying monster with a great style of duel storytelling. Silence in the Library is about the archaeologists meeting the Doctor in the Library, while Forest of the Dead is about Donna trapped in an artificial world. It’s incredibly entertaining and has great characterisation and truly frightening moments, thanks to a brilliant monster. The use of a common phrase (“Hey, who turned out the lights”) means the Vashta Nerada are memorable. This is one I re-watch regularly and it is still amazing. I can’t remember watching this story when it was on, and I only remembered watching it in full a few months ago. This is probably the most adult and dark episode of the whole show, with no Doctor and no running down corridors, this is a character episode which is based on a simple yet brilliant plot point- that a single event can alter everything. It is an episode which uses the continuity of the show to retell events if the Doctor wasn’t there – Sarah Jane and Martha die during the Judoon incident, London is destroyed by the Titanic, the Adipose breeding almost cripples America, and Torchwood die fighting the Sontarans. All because Donna turned right and caused the Doctor to die in the Runaway Bride. The bleak alternate reality is a fascinating world and the version of Donna here is a great parallel to the version who travels with the Doctor in the real world. This is an amazing episode which isn’t afraid to go into incredibly deep and mature themes and imagery. While I discussed this briefly in my favourite Eleventh Doctor stories, a re-watch has shown me that this story is truly amazing. Once again the characterisation is wonderful and the dialogue is brilliant. Every character gets a brilliant moment and despite being a set up for the Series 6 arc, it’s so cleverly written that it feels standalone. The Silence are a great threat and the idea of memory and forgetting who they are ties into River and the Doctor’s arc. The scope is epic, helped by a great unique setting, some great direction and some amazing moments. The plot is incredibly interesting and utilises historical elements into the familiar world of Doctor Who and it begins the Series 6 arc of the Doctor being a god-like force too powerful to control. Doctor Who’s first attempt at an emotion based episode paved the way for others like the Girl in the Fireplace, Human Nature and Vincent and the Doctor. Like Turn Left it uses a simple premise and turns it into a character piece with time travel pushing the narrative forwards. Never before had time travel been used to fuel the emotions of the characters and this was the story which, in my opinion, caused the emphasis on characters and the companion being the focus of the show into the foreground. 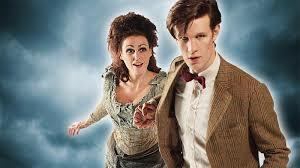 Time travel is a dangerous force here and the Doctor is ruthless in his manner. Both the Doctor and Rose are justified in their arguments and it shows how alien the Ninth Doctor is as he is not willing to let Rose’s dad live as he cannot understand humans. A very influential story for the show in my eyes. Another Series 4 story and it won’t be the last. This mature story takes one of the most iconic New Who monsters and gives them a dark and adult backstory. The central theme of slavery may be obvious, but it is fine because of the way the story affects the characters. Donna’s trip to the Ood-Sphere makes her see the brutal side of humans and travelling across space and she eventually wants to go home. It’s not all doom and gloom though, as there is an exciting chase with a claw and some great moments of humour. This is a story where the aliens are not the monsters; instead, the human race is behind all the evil in this story. 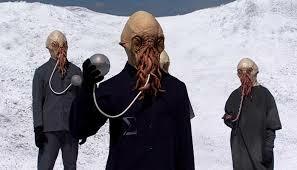 The Ood themselves are still incredibly unique and are guaranteed to go down in history as one of Doctor Who’s most iconic aliens. This episode was so scary I couldn’t finish watching it in one go when I was younger. Now I can watch both episodes perfectly fine and not only is it incredibly tense and atmospheric, but it is also hilarious. The whole banana business in part two is one of the most random yet brilliant things in the whole show. It’s probably the most conventional Ninth Doctor story and is the only one where he is allowed to have complete fun and have a normal adventure. 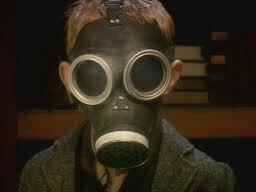 Just like with the Vashta Nerada, the Empty Child’s repeated phrase (“Are you my mummy”) makes him very creepy. The dialogue is brilliant and the character dynamics are brilliantly laid out. There is some subtle character moments for the Doctor and the supporting cast are all memorable and unique. It also has Captain Jack Harkness in his first appearance. Do I need to say why he is awesome? What is so unique about this story is the story. Never before or again will the Doctor speak with his TARDIS in this manner and it opens up parts of the Doctor never seen before. His one constant companion is his TARDIS, and here she is allowed to speak to him and explore why the Doctor travels the universe. As is par for an Eleventh Doctor story, it is incredibly funny, but it doesn’t forget to add scares and atmosphere to the whole situation. 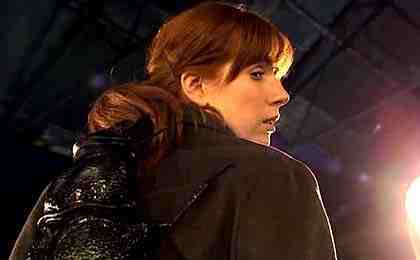 The scenes with Amy and Rory in the TARDIS corridors are very creepy, helped by a brilliant and memorable villain. 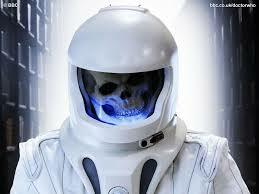 House is one of the most interesting New Who villains and he is an intimidating force. The Ninth and Tenth Doctor’s TARDIS console also appears, as does the Ood, which makes this story all the more rewarding for Whovians like me. So those are 8 stories which along with the 7 I’ve discussed in depth in my Top 10 Doctor Who stories list, make up my 15 favourite revived stories. Honourable mentions go to Midnight, The Fires of Pompeii, The Day of the Doctor, Listen and The Impossible Planet/The Satan Pit. On an unrelated note, I have seen Age of Ultron, which I will talk about along with the other films I see this year in my first Annual Film Awards, where I list off all the films I saw in cinemas in 2015 and go through my personal awards. I will write it in December, but I might do a review of Age of Ultron before then if I see it again in the half term.